It’s time to see the world for what it truly is, an illusion. 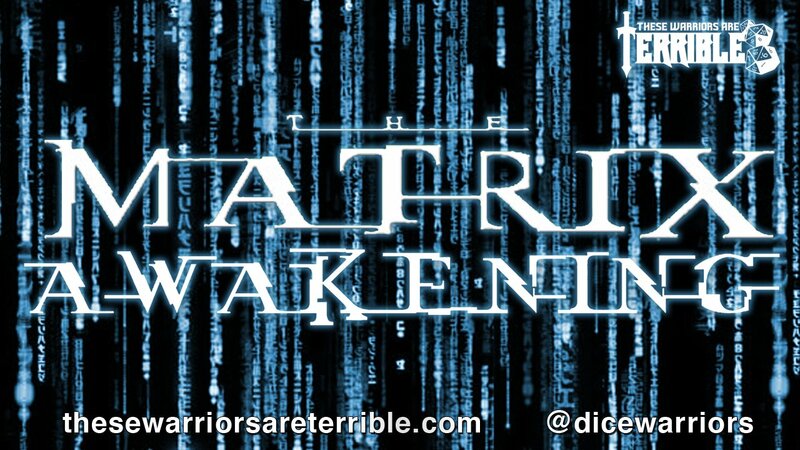 In the sequel to our first Matrix Campaign “Matrix Deletion” our crew Justin Ecock, Cassie Chui and Erika Szabo are joined with newly awakened redpill Orie Falconer as they jack into the illusion that is The Matrix. Classic cameos make their appearance as The Oracle reveals that Erika’s character is The Two. Everything you know about The Matrix is put to the test as time stands still because Orie destroyed all the clocks with his Silver Bullet. Yea, ok, it’s getting a little silly in here but the third episode of Matrix: Awakening ramps up the tension as we build up momentum to the epic finale.